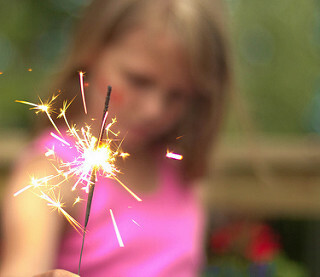 Our friendship burned hot and fizzled furiously like a sparkler on Fourth of July. I can’t explain it, but the first time we laid eyes on each other we decided to become fast friends. Within a week I had invited her in to all of my intimate circles. We had coffee so often Guy asked if we had a standing date. Thinking I was helping her settle in to life in a new town, I spent more time with her than anyone outside my family. Months later, a switch flipped. I had an uneasy suspicion something was wrong. She didn’t respond to my texts, but showed up at a gathering I had invited her to and tried to pretend away the conflict. Not one for pretense, I left in tears of confusion and spent the next week moping like a brokenhearted teenager. Soon after she met with another friend who confirmed my hunch: like a character from The Twilight Zone, she was pleasant one minute and smiling yet nonsensical the next. She called, eventually. She apologized but couldn’t explain; she tried, and when her words made it worse, she stopped trying. Still, she wanted to be friends. Grateful for her apology, I forgave her – I can genuinely wish her well – and explained that she had broken my trust and I couldn’t trust she wouldn’t do so again. I set a boundary, and I’m pretty sure it’s a healthy one. I responded, And also with you. She broke peace. Then she faked peace. With her apology she made peace, but she couldn’t restore friendship. And it’s okay. Read and light three candles (two purple, one pink): The first candle represents the expectation of the One who will bring Peace. 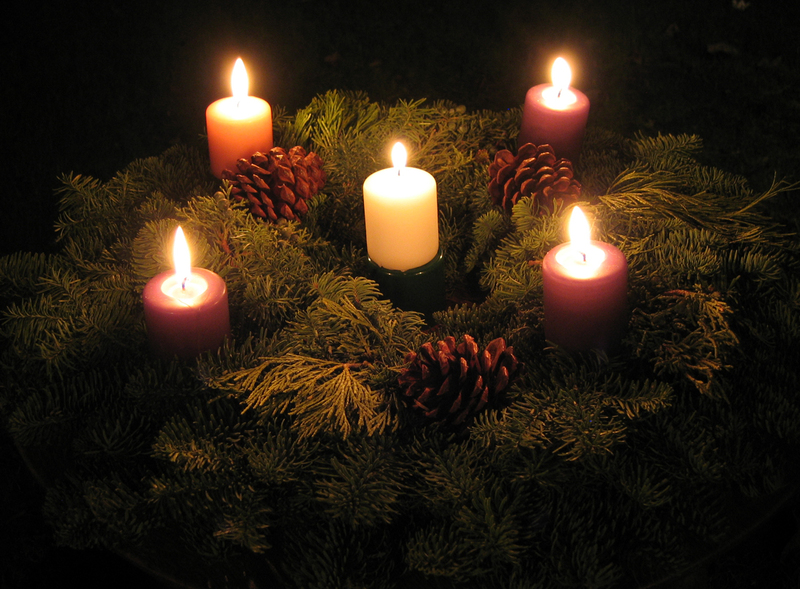 The second candle represents God’s peace in us. The third candle represents the call to make peace with one another. Read: Conflict comes to every relationship. Even with those we love most, maybe especially with them, our interactions can lead to disappointment, irritation, frustration. What do we do? We can be peace-fakers, denying our problems. We can be peace-breakers who angrily manipulate others. Or we can follow God’s lead and rely on His grace to become peacemakers. Blessed are the peacemakers, for they will be called children of God. Pray: Dear God, may we love one another well so that the world will know we belong to you. In the name of Jesus we pray for peace, Amen. Monday Psalm 133:1 Share about a time when you experienced unity among God’s people. Tuesday Matthew 5:9 What does it mean to you to be God’s child? Wednesday John 13:34-35 Why is love a distinguishing characteristic for Christ’s followers? Thursday Romans 12:16 How does pride get in the way of peaceful relationships? 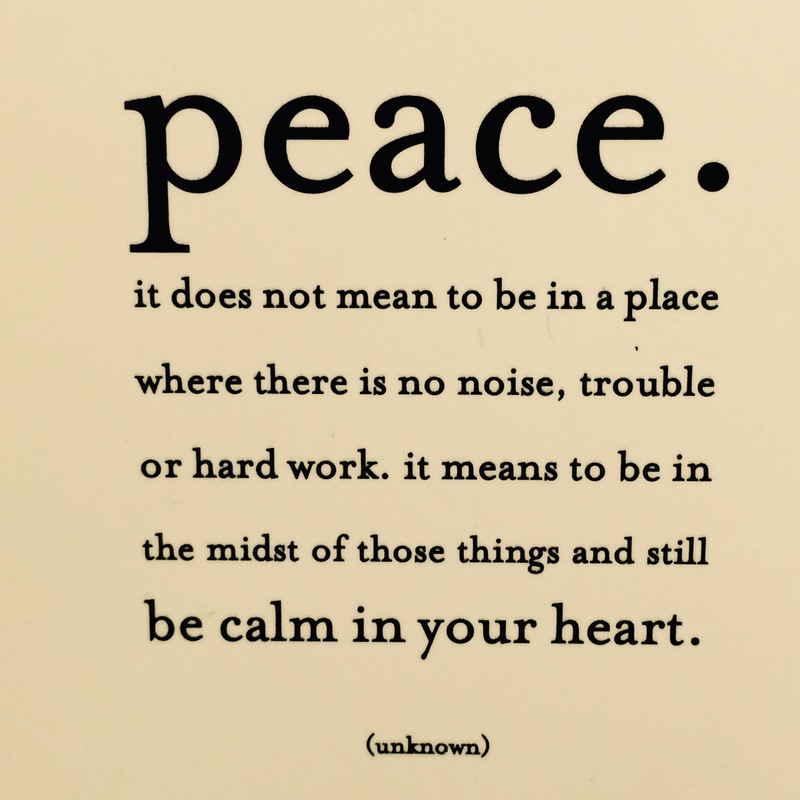 Friday Ephesians 4:2-3 How is patience related to peace? Saturday Philippians 2:2-4 To what “interests of others” can you pay more attention?